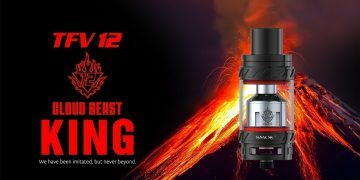 Blazer 200 is a new sub-ohm tank, recently introduced by Sense. 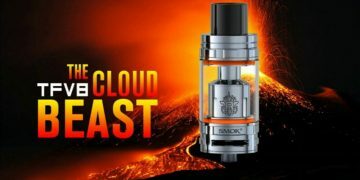 It is a highly powerful device that threatens the market leadership of Smok TF-V8, the most popular high-powered sub-ohm tank. The key advantage of Blazer 200 over Smok TF-V8 is the great flavor that the coils of the former produce. 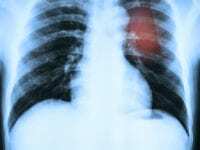 Blazer 200 is equipped with two kidney-shaped fill ports. Thanks to them, the air can escape the tank at all times, so you will not have any issues with the air pockets. One of the innovative features of Blazer 200 is its top cap. Twist the knurling on the top of the cap counterclockwise until the moment when you hear a click. Next, the top cap will give you access to the filling section by flipping up. Sense Blazer 200 kit is packed in a plastic box that has a paper sleeve cover. On the front side of the box, you will see a picture of the tank in the color that you ordered. 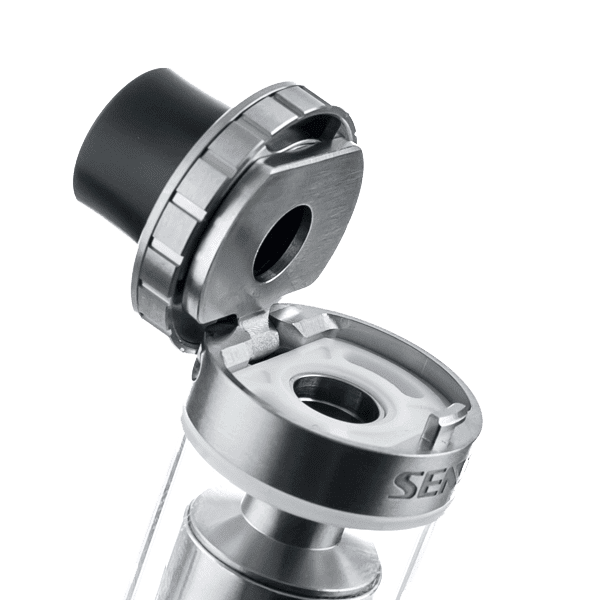 The Blazer kit has a drip tip of its own, but you can also use any of your 510 drip tips that you own with this tank. 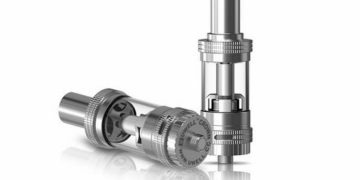 There is an adapter in the kit that allows you to use different 510 drip tips with the tank. Caring about every detail of their devices in and out, Sense made the adapter the same color as the tank. *The 510 contact pin is flat and slightly protruding. It is non-adjustable. 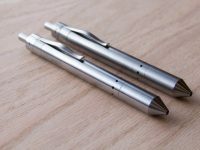 Using atomizers with non-protruding, flat 510 pins on mechanical mods of hybrid type is dangerous, and you should never do it. In case you ever need to replace the preinstalled Sense Blazer 200 coils when there is any liquid in the tank, you have to be very careful in order not to spill it. 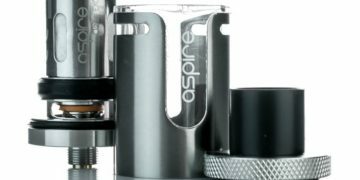 Unscrew the base very carefully and keep in mind that just an O-ring keeps the glass tank in its place on the vape. When you get your Sense Blazer 200 kit, you will need to get an RBA section separately, in case you would like to use your vape as an RTA. 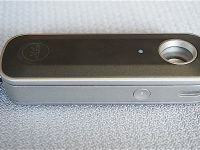 The Blazer 200 RBA base is basically a two-post Velocity-style deck that has two shared e-liquid channels and dual bottom airflow. Thanks to the Blazer 200 coils, the taste of the flavor is excellent. As for the flavor, it is a bit muted because of the ceramic filtering. The clouds you will get with this vape are really impressive. What’s more, it can cope with high wattages while not overheating. All in all, you will get bigger and better clouds with Blazer 200 than with the TF-V8. The draw is almost effortless. 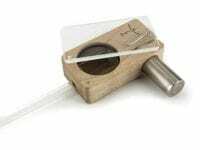 If you look for 0.6-ohm Sense Blazer 200 reviews, you will notice one thing in common – most of them praise Sense Blazer 200 ceramic coils and 0.2-ohm cotton coils. Each of these coils has two 26-gauge wires. These wires are wrapped in parallel and then wrapped in Japanese organic cotton individually. All the three of them are encased in a ceramic sleeve that has pores. Vaping with Blazer 200 is very enjoyable thanks to the tank that handles high wattages and does not get hot at all. The tank will get a bit warm at around 90 watts. 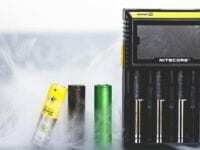 With this vape, you will not burn your throat, even at 100 watts. Such heat resistance is worth admiring for sure. 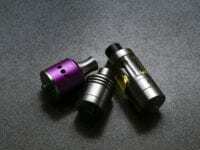 Blazer 200 from Sense is one of the best choices in the market of high-powered sub-ohm tanks. 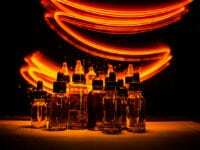 With this tank, you will be able to get massive clouds of vapor and enjoy the great flavor of your e-liquids as well. Two coils offer a slightly different experience, but both of them work smooth.